Laura Letchinger and Piece by Piece will be exhibiting FLY at The Other Art Fair. Piece by Piece will also be holding workshop sessions throughout the fair. Join us in creating "Welcome Home" frames, which are gifted to individuals moving from homelessness into supportive housing. The Other Art Fair is Los Angeles' favorite independent artist showcase returning for its 3rd edition on March 28-31, 2019. The Other Art Fair is presented by Saatchi Art. The exhibit is an opportunity to meet a curated selection of over 130 independent artists and browse thousands of pieces to suit every budget under one roof. * Children under 16 years enjoy complimetary fair entry and must be accompanied by an adult. * If you are unable to attend on your General Entry ticket date you are welcome to use your ticket on any of the other opening days: Friday March 29, Saturday March 30 and Sunday March 31. This does not include the Thursday March 28 Private View. Parking: Attendees & Exhibitors may park in the parking lot adjacent to the venue (1,100 spots). Event Day parking is $20.00. All day parking is available at the venue for $20 a day. 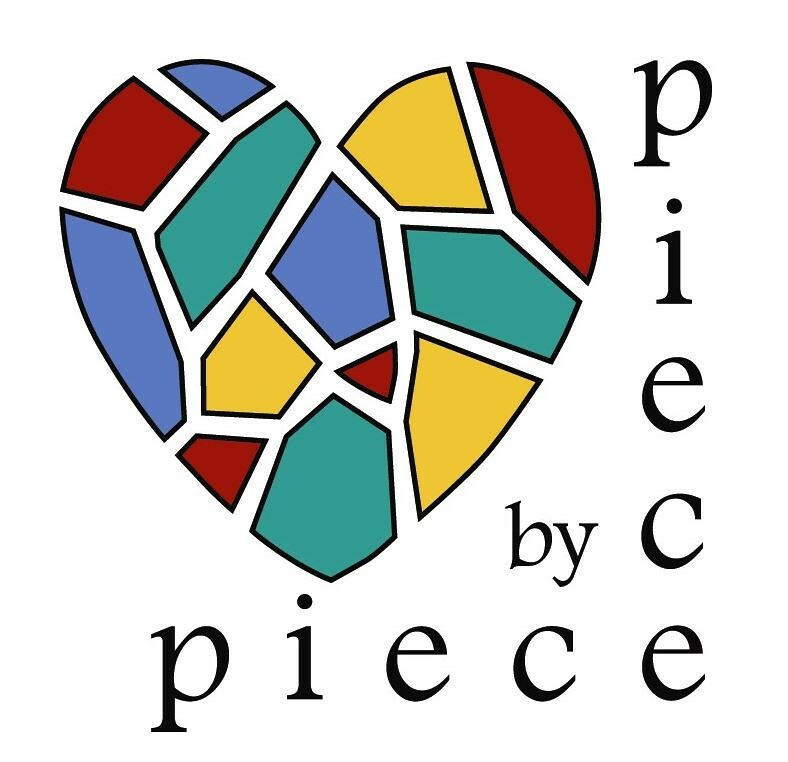 Piece by Piece is participating in the inaugural GSES. The Global Social Enterprise Summit will be a first-of-its-kind event in the Southern CA region that aims to help social entrepreneurs make positive change in the world. Our founder, Sophie Alpert, will be a speaker on the “Setting the Foundation” panel, discussing what prompted her to turn her vision into a social enterprise and the challenges she faced. Piece by Piece will also have a booth to share the artwork of our artists. We are grateful to be selected as a partner for Narrated Object’s new book. A percentage of the proceeds will be going to support our organization. There is a small feature in the book with photos of Piece by Piece artwork. Dear Seller: Real Estate Love Letters from Los Angeles features memorable letters by individuals who attempted to capture the hearts of home sellers with their words in order to win the bidding war for the home of their dreams. Each letter paints a portrait of its author: his or her family, background, and values, using social capital as well as actual capital in an effort to be selected. Through interviews and written accounts, you will follow these homeseekers from the moment they saw their perfect homes to what happened after they submitted their letters. For more event details visit the Facebook event page! Join us as we celebrates Michael Vecchio’s work in our Featured Artist event. Join us in supporting three of our Piece by Piece artists at the third annual Office Hours exhibition. Enjoy an evening at the Main Museum with a hosted bar, music, and community. Each fall since opening in 2016, The Main Museum has hosted Office Hours, a program that invites fifty Downtown L.A.–based artists to meet one-on-one with Allison Agsten, director of The Main, on a first-come, first-served basis, to discuss their work. At the culmination of each appointment, artists are invited to hang their art, or documentation of it, as part of an eponymous group exhibition. Now in its third iteration and with a total of 150 participants, Office Hours has helped forge crucial connections among artists who have met through the program, led to gallery presentation of work introduced here, and inspired similar initiatives elsewhere. In this year’s Office Hours, three of our artists will be part of this exhibit. Join us and celebrate Mike, Terry, and Vicki’s artwork. Learn more about Office Hours at the Main Museum, and Artist reception. The Fair brings together legal aid organizations, government agencies, social services and community-based groups to provide free services, information and classes for the public. All workshops, classes and services are free and open to the public. Stop by our booth and learn about mosaic art while creating a collaborative mosaic with the us. To see what the fair has to offer please visit the website to view the complete list. Click Here to see the complete list of workshops. Please consider taking a ride service. Show on view through Sunday, Oct 7th. Join us on August 9th, during the DTLA ArtWalk, from 5 pm to 9 pm, at our bigART exhibit, near Spring restaurant. The show features some of our larger projects, as well as information on our big ART big IMPACT campaign. We'll also have a pop-up sale with some fantastic artwork and jewelry created by our artists. 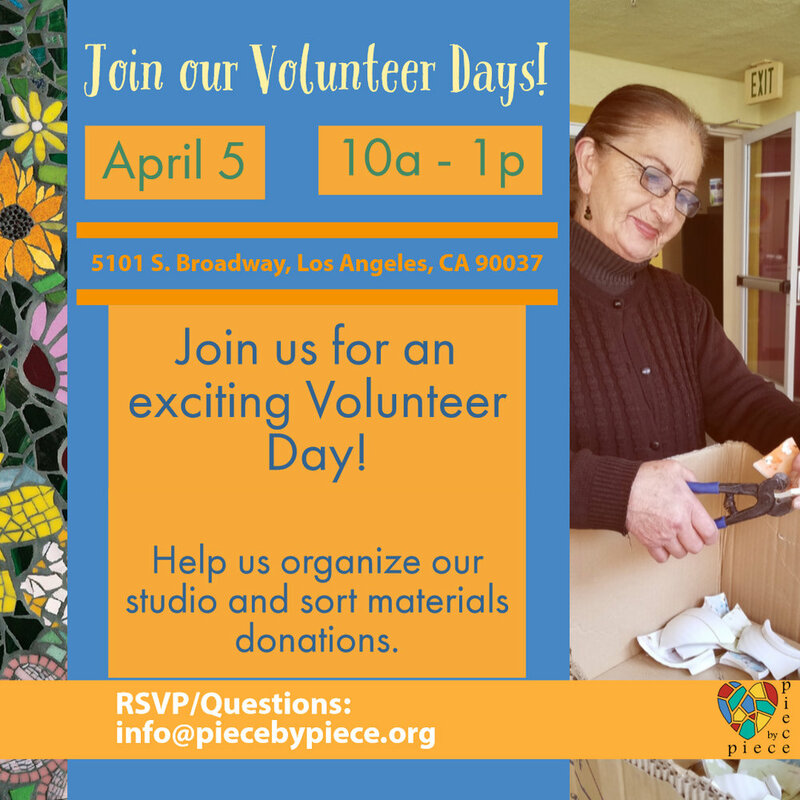 Space is limited; RSVP by filling out the form below or email info@piecebypiece.org. Thank you for your RSVP. You will receive a separate email confirming your reservation. Learn how to create glass mosaics with us at the Craft and Folk Art Museum. Using a variety of glass materials and mosaic pieces, each participant will create a unique glass mosaic. Join us once again at DaFUNction, an annual community fun fest presented by The Ron Finley Project. Enjoy live music, live art, a workshop with the Gangsta gardener, community art activities, and community resources. Find us at our community mosaic workshop booth! Join us at Hauser & Wirth for a two-part Father’s Day workshop: The first activity is by Garden School Foundation who will engage families in an immersive learning experience about garden pollinators. Next, families will use colorful, recycled pieces of ceramic and stained glass to create mosaic garden pots and signs with Piece by Piece! Join us for speakers from Piece by Piece, a pop-up & art exhibit, and some awesome showtunes. 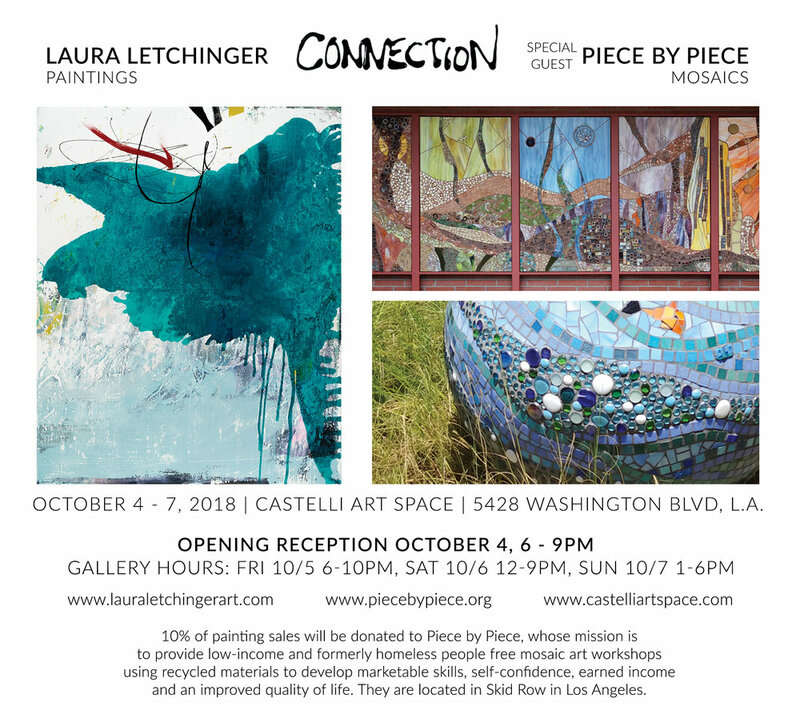 A portion of the proceeds will be donated to Piece by Piece! Join us for a pop-up shop and art exhibit at this years CSH Summit. The Summit offers 50+ sessions across 11 tracks of the most pressing local and national topics. 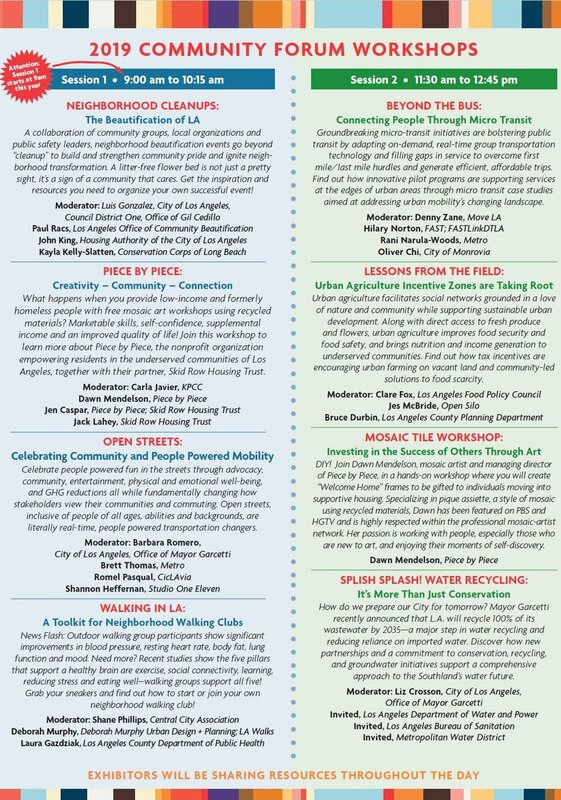 Hundreds of thought leaders from all over the country will gather in Los Angeles this June 5 - 7 for the only national conference devoted to supportive housing, and will hear from experts sharing their insights, hands-on experiences, and guidance. Join us for the final portion of our April-May garden mosaic demonstration at the LA County Arboretum! A Piece by Piece artist will be working on adhering mosaics on mesh to a concrete sphere. Bring the whole family for some outdoors fun! We will also be selling a variety of mosaics to decorate your home, office and garden.